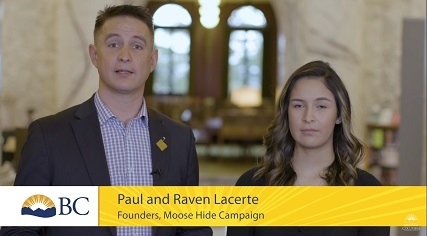 We are excited to launch the Moose Hide Campaign Learning Platform for K-12 for teachers and students. Experience tells us that learning values and perceptions happen at a very early age. When done in an open, ethical and non-judgmental space, education can be a powerful platform for students to examine their own biases and those of their family and community. 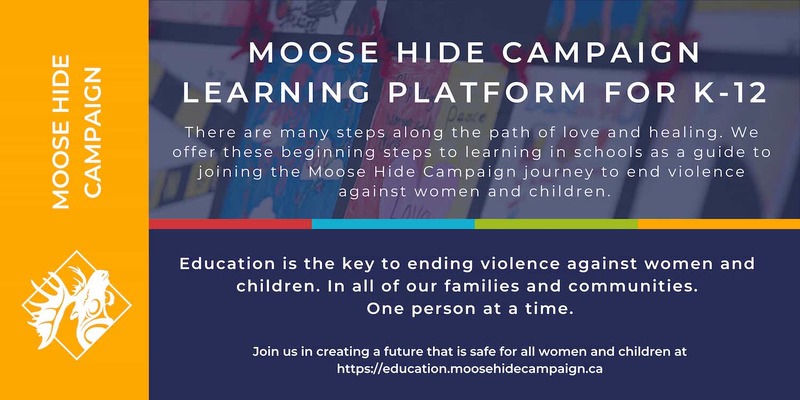 The Moose Hide Learning Journey is designed to support teachers in offering just such a learning environment while providing students with opportunities to explore alternative values and perspectives that respect and honour women and children. Our Goal is to end violence towards women and children. 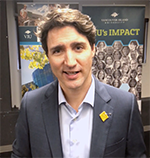 To help achieve this, the Moose Hide Campaign will distribute 10 Million Moose Hide squares across Canada. We will stand up with women and children and we will speak out against violence towards them. We will support each other as men and we will hold each other accountable. We will teach our young boys about the true meaning of love and respect, and we will be healthy role models for them. 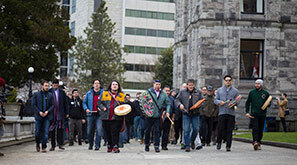 We will heal ourselves as men and we will support our brothers on their healing journey. We encourage you to Take Action, Make the pledge, and Stand up to end violence towards women and children. 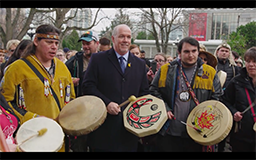 Indigenous women are three times more likely to experience domestic violence than non-Indigenous women, and three times more likely than non-Indigenous women to be killed by someone they know. Too many of our wives, daughters, sisters, aunties, mothers, grandmothers are not safe in their own home. Too many have been murdered or are missing. It is time for us to change this. This cycle of violence came from residential schools, racism against our Peoples, and colonization. It was never in our culture to do violence to the women and children in our families and communities, it was always our responsibility to protect them. Many efforts, projects, and strategies are now under-way throughout the country to change this reality, but we can and need to do more. Silence is not good enough, and simply being a non-abuser is not good enough. 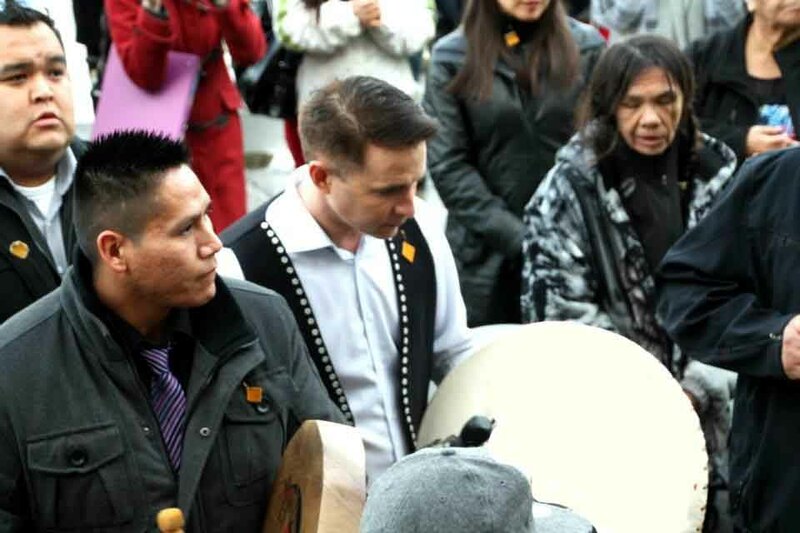 We must speak up and take action, and we need to support each other as Indigenous and non-Indigenous men.